Interested doctors could sign up for one of four sessions being held across Canada. Why is Shoppers Drug Mart holding education sessions for doctors on how to prescribe cannabis for their patients? Who should train doctors on prescribing medical cannabis? But Toronto family doctor Sharon Cirone questions whether this medical education should be offered by a drug store chain that wants to get into the business of selling medical cannabis. “It’s not appropriate and it’s not necessary” she said, adding that there are resources being developed by the College of Family Physicians of Canada, and other medical associations that don’t have a vested financial interest in cannabis. The issue brings into sharp focus two increasingly controversial questions — how should a product that has not been approved through the normal drug approval process be used in medical practice? And who should be selling it? Right now, pharmacies are not allowed to dispense medical cannabis. Instead patients must get it through the mail, after first getting authorization from a doctor and then registering with a licensed producer. National pharmacy chains are lobbying for legislation that would let them sell medical cannabis. “This is basically the only product for medicinal purposes that does not go through a pharmacy,” said Justin Bates, CEO of The Neighbourhood Pharmacy Association of Canada which represents major drugstore chains and large retailers with in-store pharmacies. The Canadian Pharmacists Association (CPhA) said patients would be better served if pharmacists were the ones dispensing medical cannabis. But the professional pharmacist licensing agencies are not as keen for their pharmacists to jump into the medical cannabis field. The National Association of Pharmacy Regulatory Associations outlines that hesitation in a position statement. There is similar hesitation from the Canadian Medical Association about doctors embracing cannabis use in their practices. “The CMA remains concerned about the lack of clinical research, guidance and regulatory oversight for cannabis as a potential medical intervention,” the CMA states on its website. 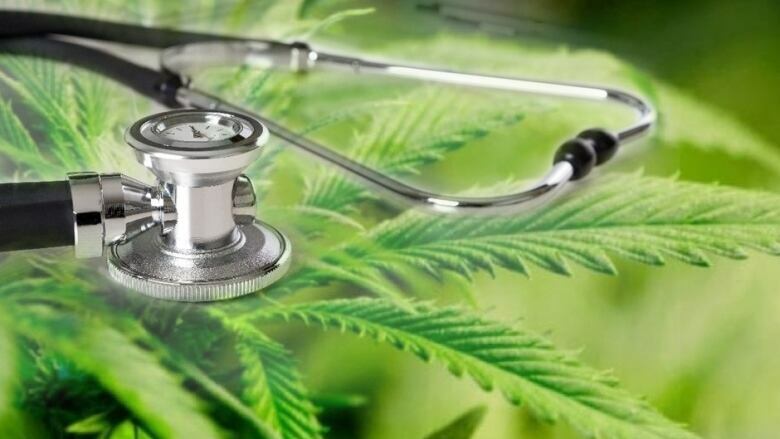 Right now, some doctors avoid dealing with the problem and instead direct patients to the recreational cannabis market, even though medical users might have different medical cannabis needs, such as achieving pain relief without getting high. “Now with it being legal, many patients are going forward and getting a product and asking afterwards for guidance on how to use it,” said Winnipeg oncologist Dr. Paul Daeninck. He routinely gives talks to doctors about his experience using cannabis to treat cancer pain and other palliative conditions. He’s one of the panelists involved in the Shoppers Drug Mart seminars. Is there a potential conflict of interest? “I feel that a company or a group that’s providing education and trying to do it in an unbiased manner is really doing the right thing, and bringing in experts to talk about it is important,” Daeninck said. “The sessions, developed and presented by key opinion leaders from top Canadian universities and hospitals, cover the most up to date information about research into medical cannabis, including its use for a variety of disease states,” said Catherine Thomas, spokesperson for Loblaw Companies Limited, which owns the Shoppers Drug Mart chain. In September, Shoppers Drug Mart received a licence from Health Canada to purchase and store pre-packaged cannabis products from existing licensed producers. “This is the first step in our journey to provide medical cannabis to our patients,” Thomas said in an email. Health Canada confirmed that Shoppers Drug Mart pharmacies cannot sell cannabis even through the mail, until the company receives a second Health Canada licence. “There is no licence under the Cannabis Regulations that would allow Shoppers Drug Mart, or its subsidiary companies, to sell cannabis in its stores,” Health Canada spokesperson Tammy Jarbeau said in an email. With files from Manjula Defresne in Vancouver.